Hello! Welcome to Source Power Solutions – home of the most detailed and unbiased portable generator reviews and advice on the planet! 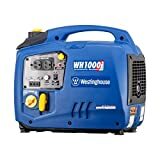 It’s my desire to help people find the right portable generator because there is so much information out there and finding the right one can be a daunting task. Like you, I like to be informed before making a purchasing decision, especially when I’m buying an expensive product. 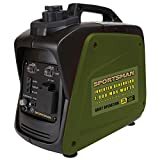 I know people don’t have a lot of time to research which are the best portable generators for instance, so that’s where I come in. I like to educate people and provide as much information as possible to help make the buying process a little easier. 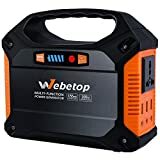 So, on this site, I didn’t want to just review portable generators, but I also wanted to offer advice, guides, and useful information that will help consumers make an educated buying decision. I want to show you the different types of generators, tips on how to choose the ideal one, and comprehensive buying guides. And this is what makes Source Power Solutions different from all other review sites. Our main goal is to help keep you informed with everything you need to know about portable generators. We keep you educated by regularly publishing product reviews and advice on the Source Power Solutions website. Every product review on this site is written by professionals at both research and writing and reviewed by our team to make sure you, our audience, gets content that is unique, free of error and ambiguous facts. The products we select for our reviews are products which are high in demand and considered the best on the market. All our content is structured in an easy to read layout and accompanied with images, so you see exactly what the products look like. If you want some tips on how to choose a portable generator, check out Four Tips for Choosing a Portable Generator, or if you’re looking for some of the best portable generators, head over to our Best Portable Generator article. Thanks for stopping by, I hope you love what you see here. If you do have a reason or question and you would like to contact portable-generator-reviews.org, you can do that right from the contact us page.